Now more than ever, the shelves and landing pages of our favorite beauty retailers resemble the covetable inventory (and treatment menus) of exclusive medspas and prestigious dermatology offices. Before, services involving microcurrents, LED light therapy, and dermaplaning were, for the most part, by appointment only. But now, the lines are blurring (even a tad literally if we're talking about results), and an ever-increasing number of creative and technological advances are being made to make the exact same (or at least very similar) treatments available for us to use right at home. And while some of them are indeed an investment, they're an unequivocal steal compared to an in-office alternative. That being said, not all of these new beauty gadgets and devices are created equally, and we've seen and tried our fair share of wild-goose chases. Yet on the flip side, we've also become addicted to a handful of truly life-changing products (at least where our beauty repertoire is concerned) that we feel are worth the splurge (or not splurge!) and the hype. Ahead, 10 beauty gadgets our editors actually use and swear by for legitimate results. Keep scrolling! 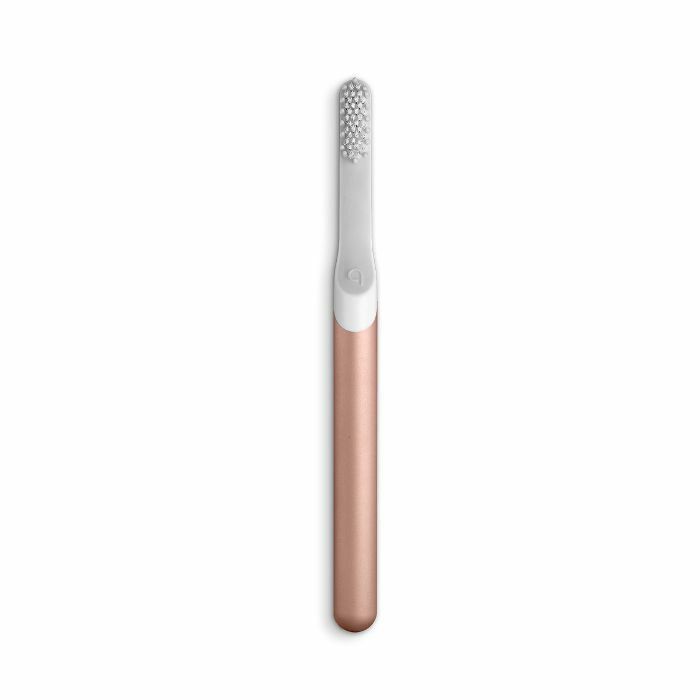 What it is: A vibrating, soft-bristled toothbrush with four 30-second timed intervals (two minutes total) to ensure a streamlined, yet thorough, brushing experience. 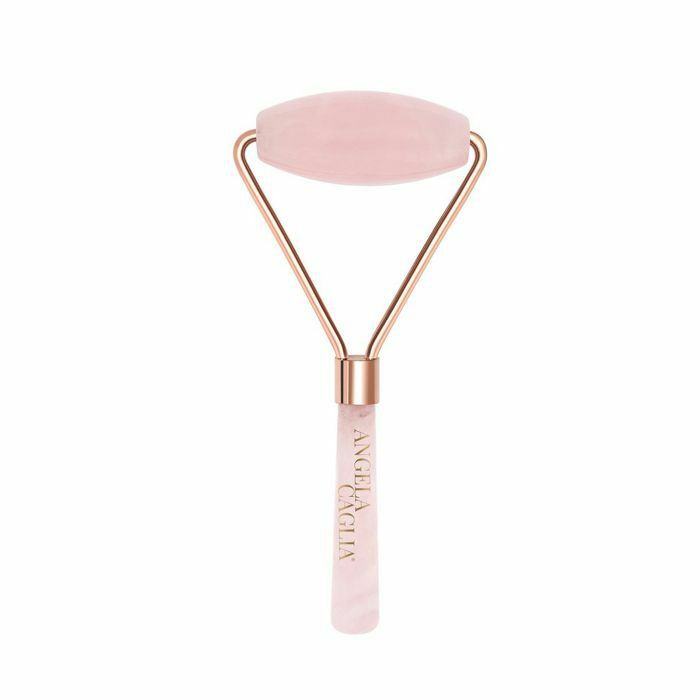 What it is: Working from the inside out to boost collagen production, this LED lip device increases circulation and lip tone, encourages plumpness, and discourages lines and creases. What it is: Ingeniously designed to have your back in a pinch, this pocket-sized portable razor allows you to shave on the go—all you have to do is twist the dial in the center to spray the area you want to shave with water, moisturize with the shave bar, and then shave. 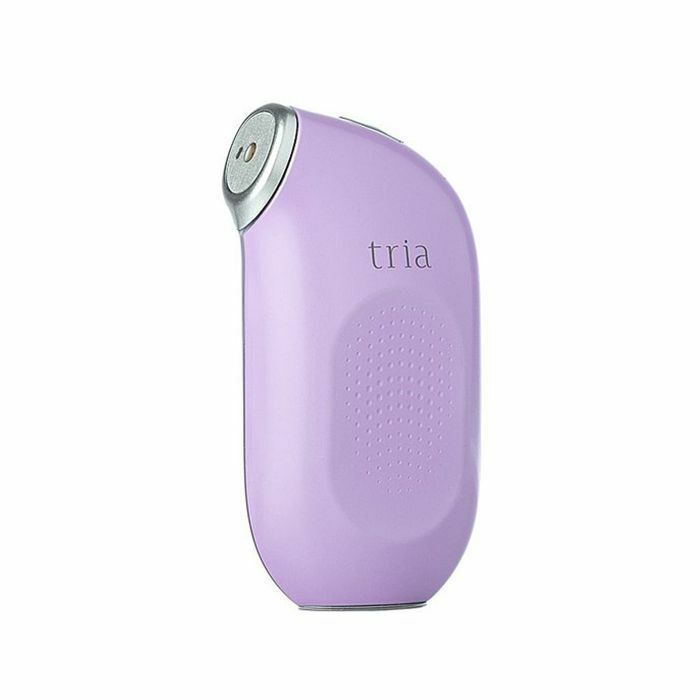 What it is: An at-home beauty gadget inspired by dermaplaning (a coveted, in-office treatment only), this convenient exfoliating device provides all the same benefits like exfoliation right from your bathroom vanity. 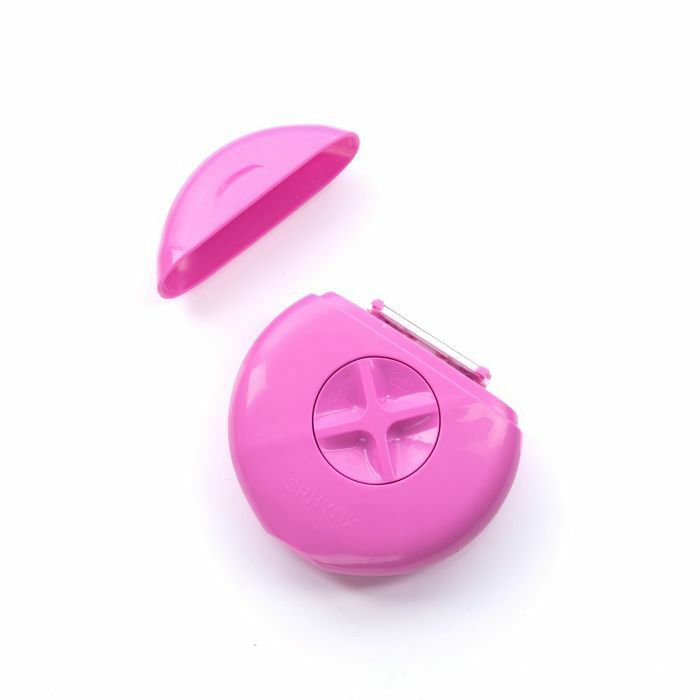 Utilizing a special sonic vibration and a safe, stainless steel edge, it helps banish dead skin and baby hairs from the cheeks, jawline, forehead, etc. Why we love it: "I was skeptical about how much of difference this tool would actually make in the look and feel of my skin—until I tried it. It's an at-home dermaplaning device, which means it uses a small blade to painlessly exfoliate your skin while it removes dead skin cells and peach fuzz. Then, post-treatment, it enhances the efficacy of the skincare products that follow (because they're better able to penetrate your skin). I was shocked at the results. My skin was immediately brighter, more even, and my cheekbones looked more pronounced. What it is: According to celebrity esthetician Angela Caglia (the creator of this gorgeous roller and a glow-giving skincare line), rose-quartz is thought to be renowned for its ancient skin-nourishing properties and unconditionally loving energy. Designed to be rolled over the face, it improves circulation, elasticity, and cell turnover, while simultaneously draining fluid. 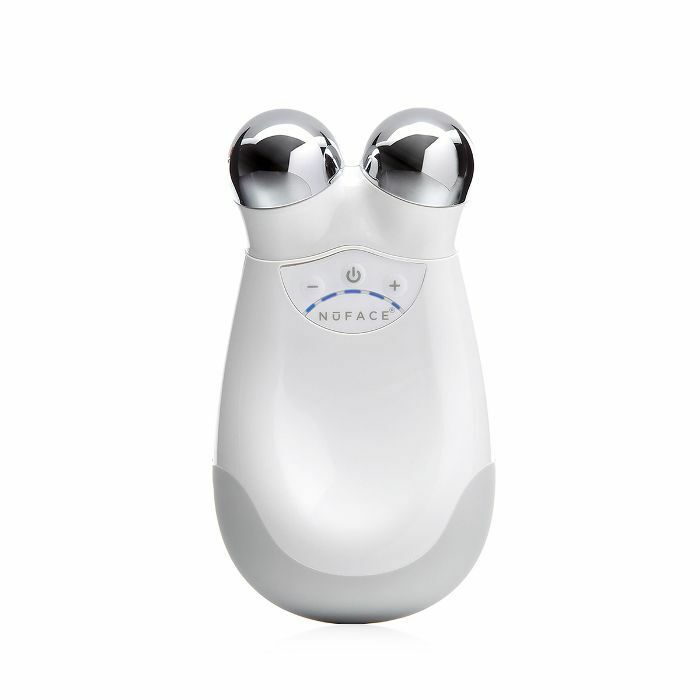 What it is: This innovative facial-toning device is specifically created to utilize microcurrent technology to help stimulate the muscles in the face to not only impart a bright and glowy aftereffect but also to help minimize fine lines and wrinkles while simultaneously maximizing the tone and texture of the complexion. What it is: No longer are lasers only found in medspas or doctors' offices—conveniently sized, this powerhouse laser targets the (slowly depleting) collagen stores around the eye area to reveal enhanced brightness and fewer lines and wrinkles thanks to the laser's signature beam of light. 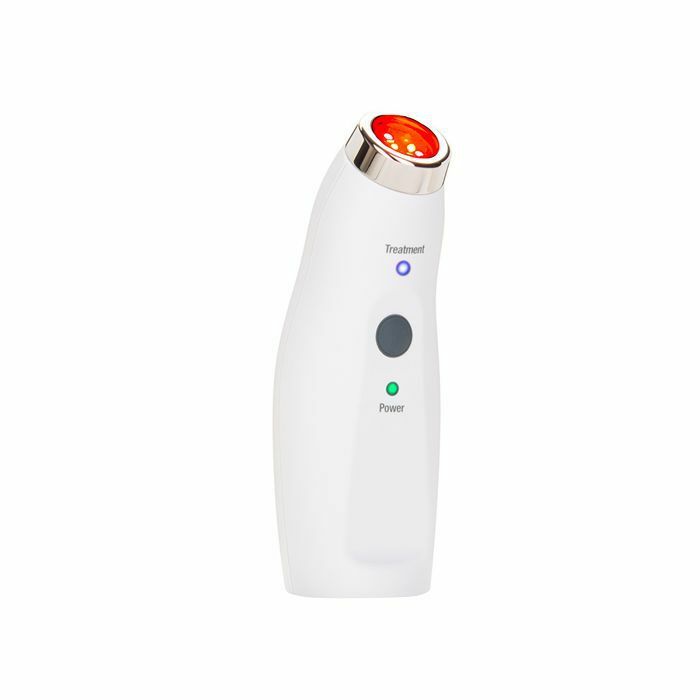 What it is: This cutting-edge LED light therapy device is designed to be easily incorporated into your daily beauty routine (it only takes three minutes of commitment per day) and improves the natural radiance and smoothness of the complexion by stimulating the skin to produce new collagen and elastin, thus helping to lessen the inevitable formation of fine lines, wrinkles, and dullness. 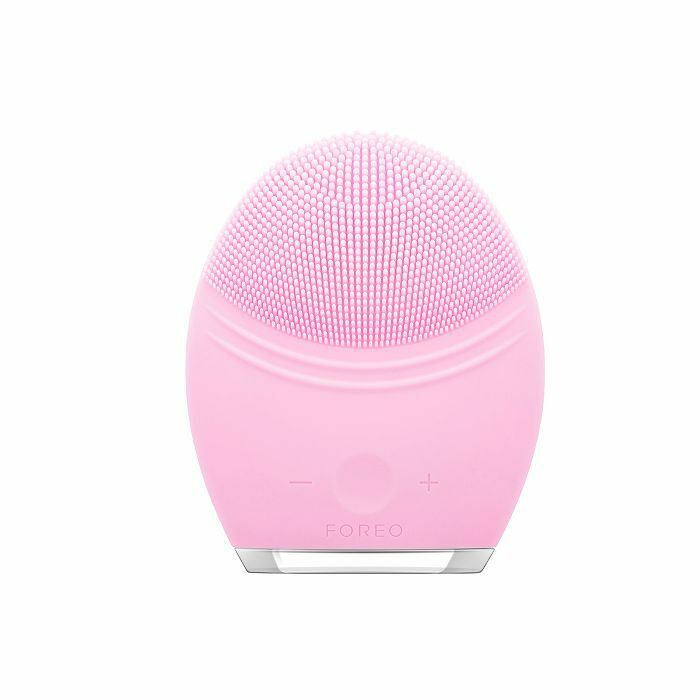 What it is: Made from easy-to-wash silicon, this sonic-powered facial-cleansing brush dives deep into the skin to perform an advanced system of cleansing which not only removes 98.5% of dirt and oil but also improves the appearance of pores and the noticeability of fine lines and wrinkles while discouraging the formation of acne and blackheads. 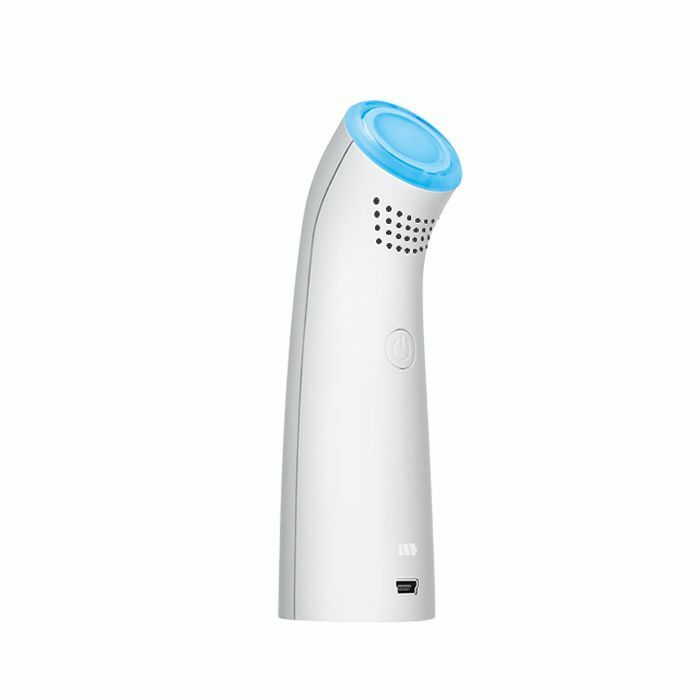 What it is: Inspired by the bacteria-ridding blue light treatments administered professionally by dermatologists and estheticians, this handheld beauty gadget works to deeply penetrate the skin to clear up existing acne while nixing the bacteria which contributes to breakouts in the first place. Next up, the new high-tech hair dryer that simplifies your haircare routine.